Ships tomorrow if you order in the next 17 hours 51 minutes. 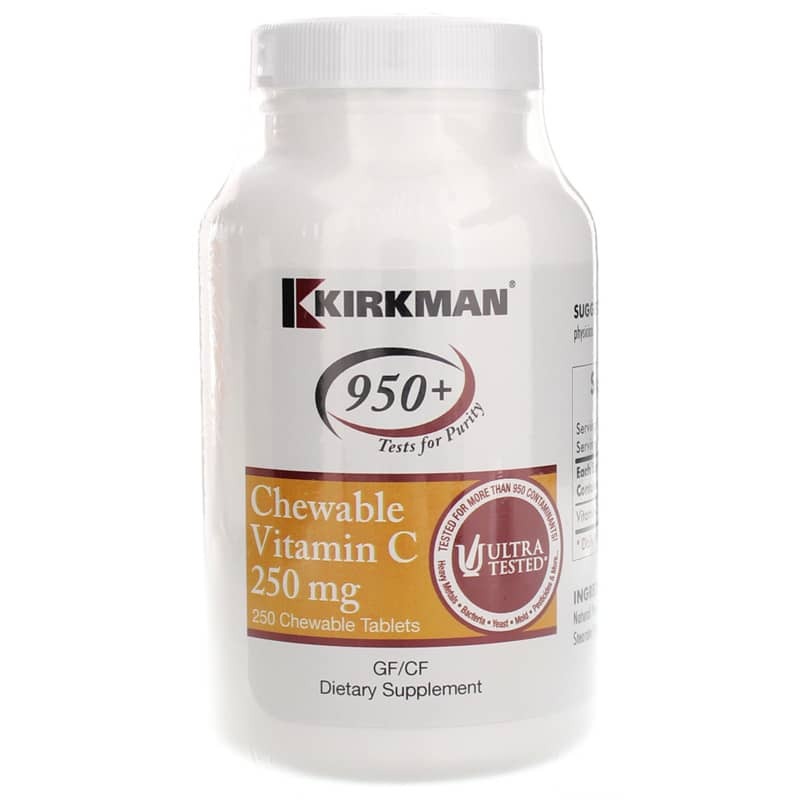 Get professional-level vitamin C in a convenient and great-tasting, sugar-free chewable from Kirkman. 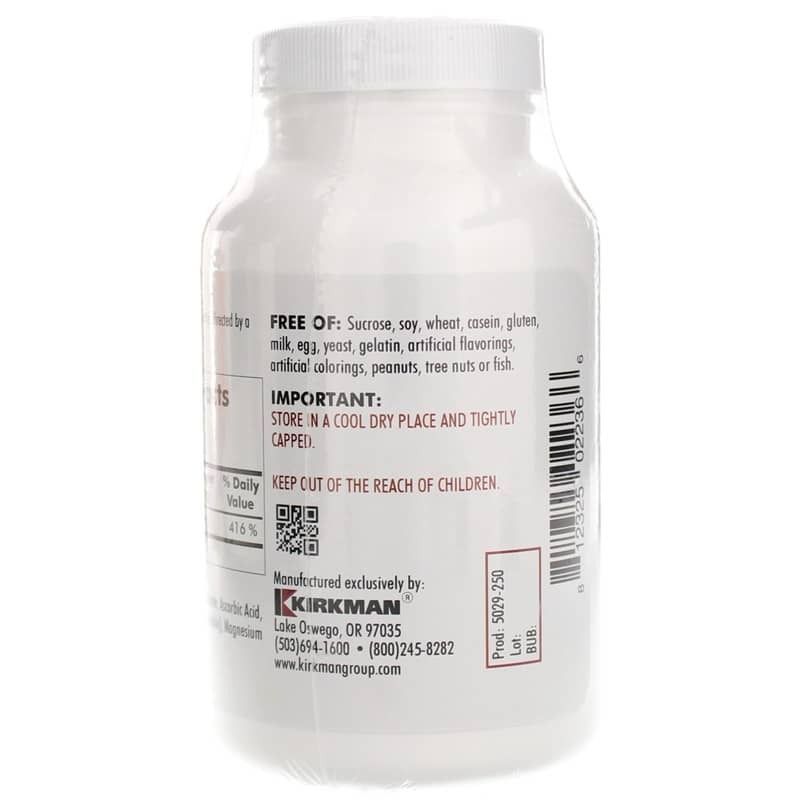 Part of Kirkman's professional line of supplements, this vitamin C provides 250 mg per chewable, passion-fruit-flavored tablet for optimal support. A natural antioxidant and key nutrient, Vitamin C plays a variety of important roles within the body. An important part of the immune system, it's necessary for white blood cell function, including antibody levels and responses. Vitamin C is also necessary for the production of collagen, the main protein substance in the body needed for the formation of tissues, tendons and cartilage. Kirkman's Chewable Vitamin C 250 mg is specially formulated to be gentle on the digestive system and is free of sucrose, soy, wheat, casein, gluten, milk, egg, yeast, gelatin, artificial flavoring and colorings, peanuts and tree nuts and fish. It's also Ultra Tested for more than 950 contaminants. And for great taste without adding extra sugar into your diet, each tablet is naturally flavored with passion fruit and lightly sweetened with sorbitol and sucralose. Get professional-level vitamin C that's easy to take. 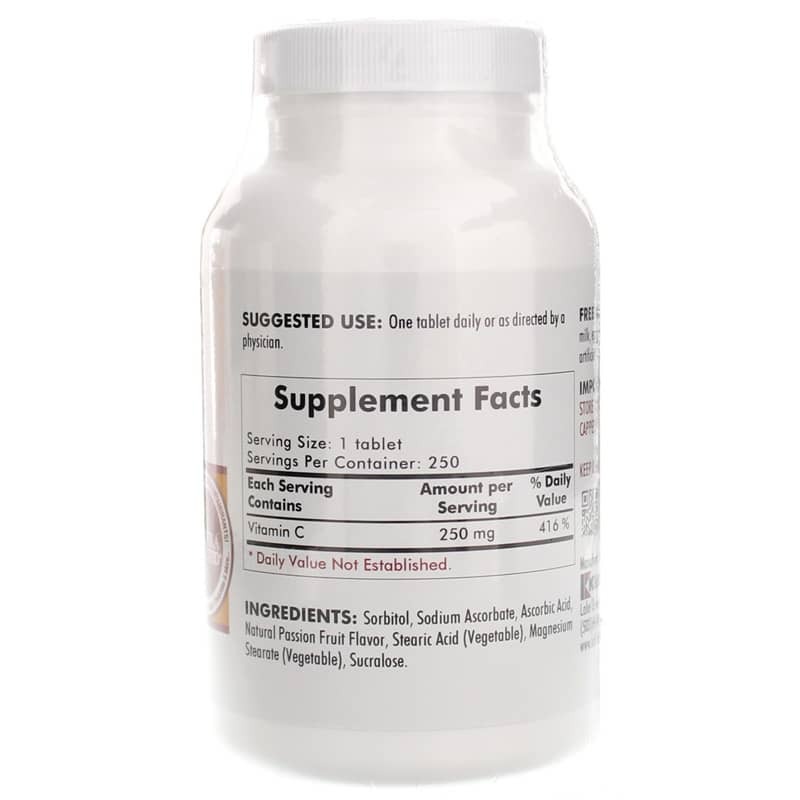 Order Chewable Vitamin C 250 mg today. Ingredients: Sorbitol, Sodium Ascorbate, Ascorbic Acid, Natural Passion Fruit Flavor, Stearic Acid (Vegetable), Magnesium Stearate (Vegetable), Sucralose. Contains NO: Sucrose, soy, casein, gluten, milk, egg, yeast, gelatin, artificial flavorings, artificial colorings, peanuts, tree nuts or fish. Adults: One tablet daily or as directed by a physician.